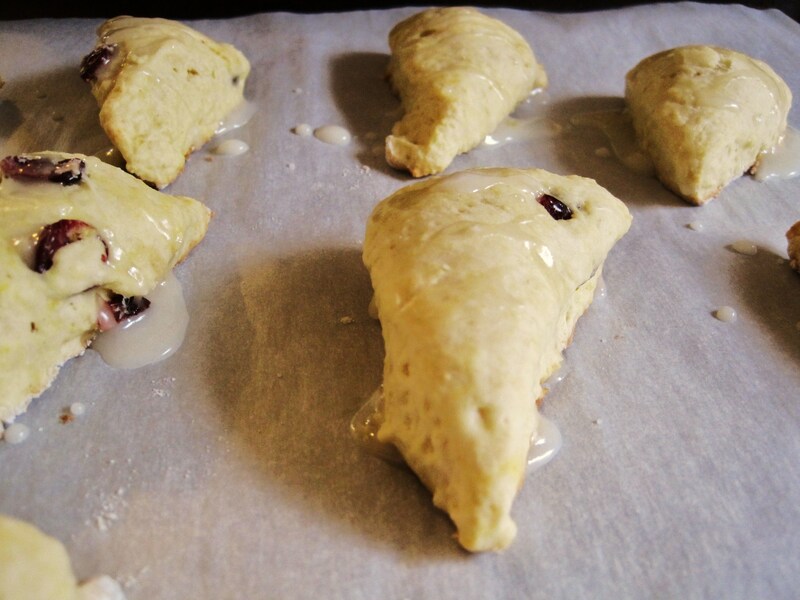 Nothing like waking up on a Sunday morning to the smell of fresh scones baking in the oven. 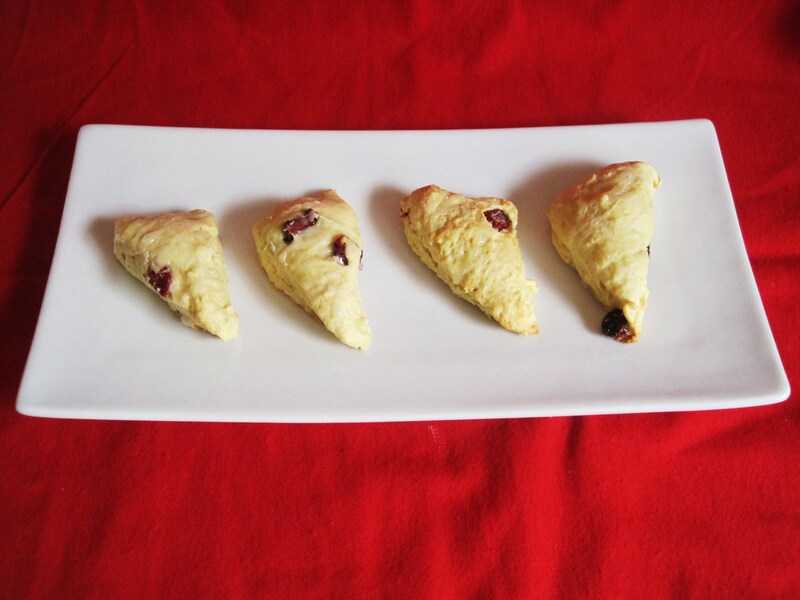 I was at Starbucks yesterday, I know your surprised, but they were giving out samples and one of the samples was there Cranberry Orange Scones. Oh man they were good! 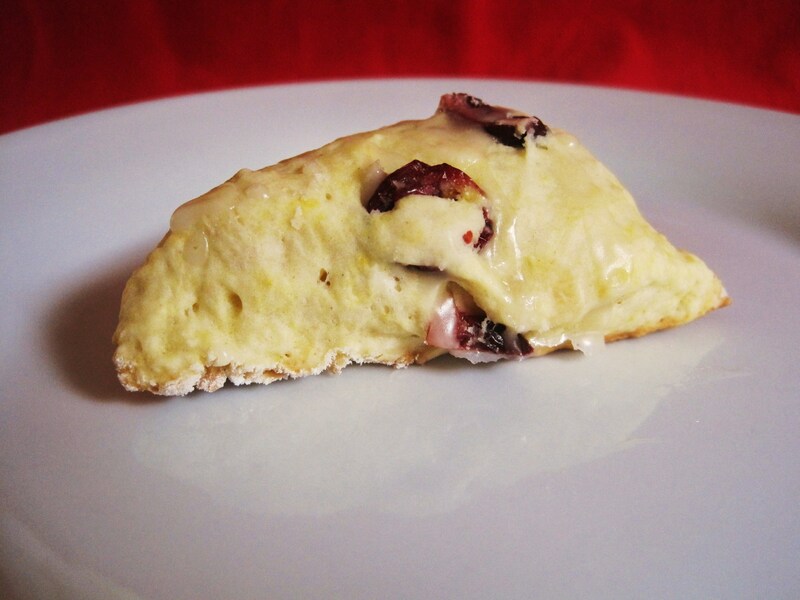 I knew I couldn’t have one at 400 some calories a scone, so I woke up fresh and early so I can make my own. I made one batch, and I didn’t know what I did wrong, there were a pure sticky mess, so I threw them out and started over. I reconfigured my recipe and tried again and yes my friends they turned out better then I thought! 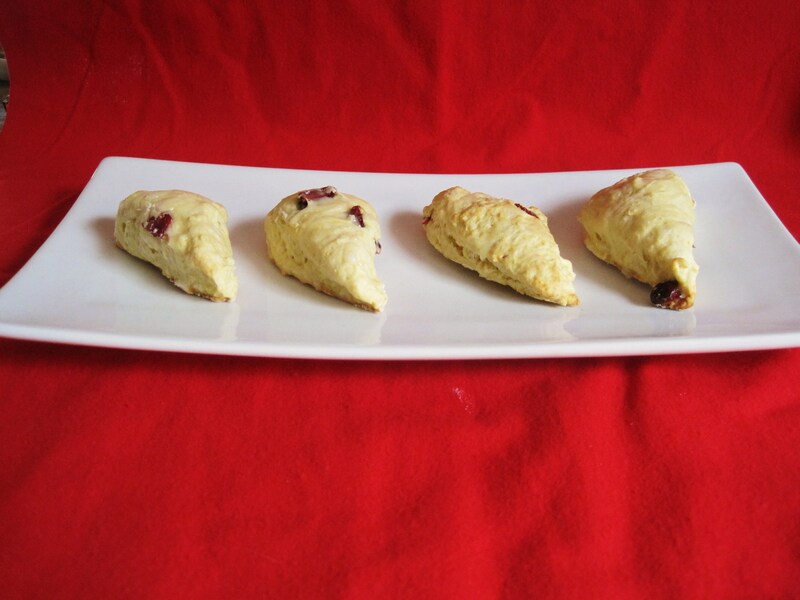 I made them mini, so I can have more then one, plus there pretty low calorie for a scone. 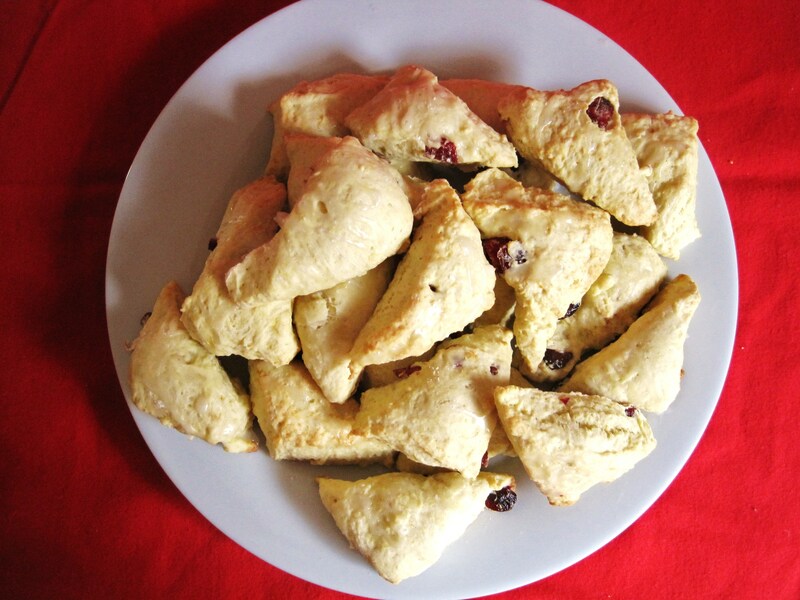 Honestly, I never made mini scones, just big ones, and these were pretty easy to make and not to many ingredients. Since there is only 1/4 cup of sugar I decided to make an orange glaze to go over the top which was 1/4 cup of powdered sugar and a few squirts of fresh orange juice. The flavor was just perfect! 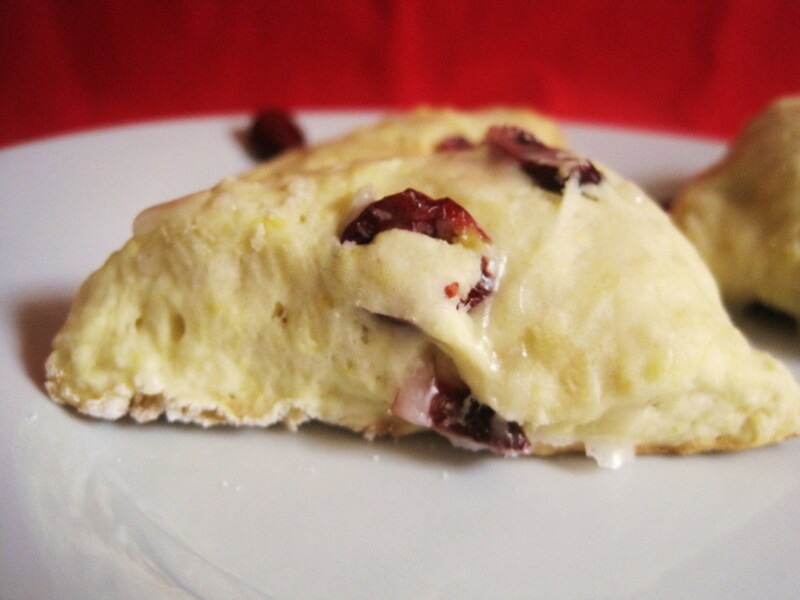 These would make a wonderful breakfast for Christmas morning, yes I’m thinking Christmas. Combine flour, baking soda, baking powder, salt and sugar in a bowl. 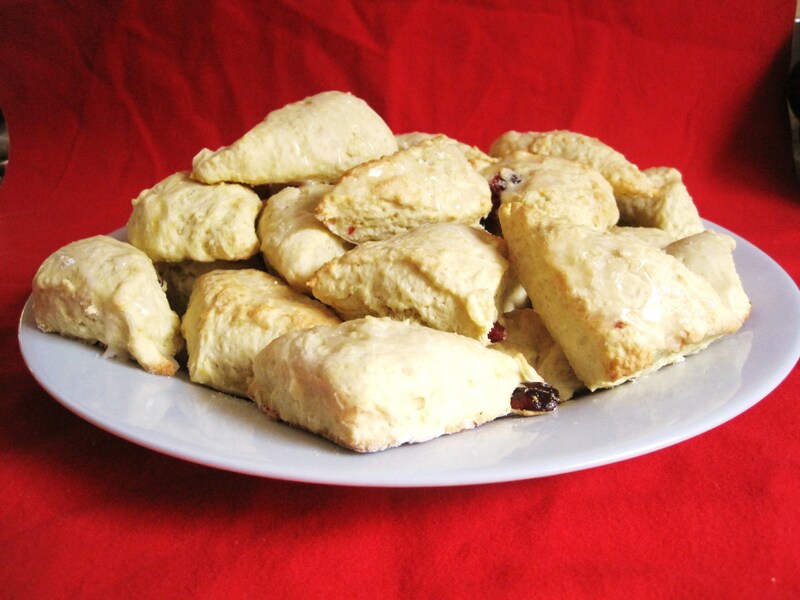 Cut in butter with pastry blender or 2 knives until mixture resembles coarse meal (I used my hands). Stir in cranberries and rind. Add milk, orange juice and egg stirring just until moist. Turn dough out onto a lightly floured surface, and knead 15 times or until smooth. Bake at 375° for 10-12 minutes or until golden. Let them slightly cool for about 5 minutes. Meanwhile make your glaze. In a small bowl add your powdered sugar and orange juice (I juiced a 1/4 of an orange) mix until a consistency you like. Add more sugar if to thin, add more juice if to thick. 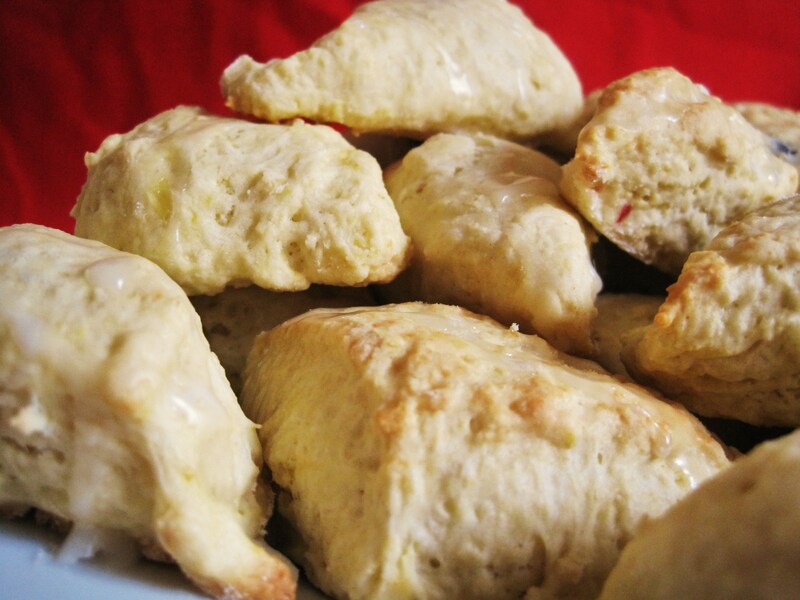 Drizzle over the top of scones. Time to wrap Christmas presents and maybe put up my little tree. Have a wonderful day!! Easily one of my favorite fall flavor pairings! I’m glad your second batch turned out so nice. I’m also glad that your scone recipe doesn’t use excessive amounts of sugar!! Great job! On just about all my recipes, I really try to scale back on sugar, who needs so much with all the other flavors? Just made this (but had to replace about a quarter cup of honey roasted nuts with regular dry roasted unsalted peanuts because I didn’t have enough!) and it was DELICIOUS! Thank you for the recipe! sorry! Sorry! That’s what I get for having two windows open! This was supposed to be posted to your Apple Cinnamon Peanut butter recipe! lol, I do the same thing! Glad the peanut butter turned out!! Nothing beats homemade peanut butter! I have to make some this weekend! !